TORONTO’S DRONE PHOTOGRAPHY & VIDEO SPECIALISTS! Drone Aerials 68 Photography offers UAV aerial photography & videography using a radio remote control drone (UAV - unmanned air vehicle) to capture aerial photos or videos. We also offer traditional Videography, Photography & Post Production Services. 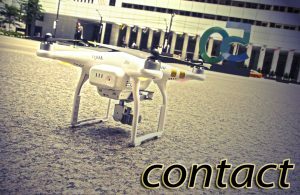 - Contact Drone Aerials 68 Photography at 416-562-5895 to learn more about our services.